On this week’s episode of the Prepping for Tomorrow program we have Kyle Pratt, author of the Strengthen What Remains series. In 1975 Kyle joined the United States Navy as a Cryptologic Technician. While in the service he met Lorraine Best of Plymouth, Devon, England and they married in 1978. They have two children. 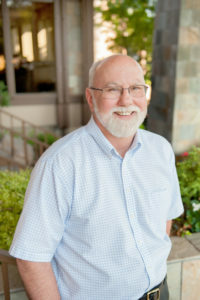 Kyle has an associate’s degree from Mesa State College, Grand Junction, Colorado, a bachelor’s degree in political science from Excelsior College of New York. Kyle also did masters work, while earning a teaching certification, at Saint Martin’s University. After retiring from the service, and earning a teaching certification, Kyle lived and taught for seven years in the Yup’ik Eskimo village of Eek. Kyle also worked with the Lower Kuskokwim School District in Alaska. At the end of the 2014 school year he retired from that position and began writing full time. Today he lives with his wife, Lorraine, on a small family farm in Western Washington State. Here he repairs gates, tends bees, writes fiction or blogs about the future of publishing in the digital age. Kyle is the bestselling author of seven books. 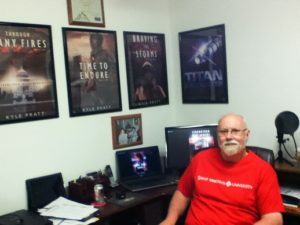 Kyle released his debut novel, Titan Encounter, in July of 2012. The science fiction story earned its way onto three Amazon bestseller lists. Kyle’s second book, Final Duty was released in January of 2013 and quickly appeared on the Amazon Science Short Stories bestseller list. Released in paperback and on Kindle in early August 2013, Through Many Fires appeared on both the Kindle Science Fiction Post-Apocalyptic list, reaching #10. The book also reached the Mystery, Thriller and Suspense list, reaching #39. As recently as December of 2014 Through Many Fires reached the #1 position on the Post-Apocalyptic, Military and Dystopian lists. A Time to Endure was released in December 2014 and quickly earned a spot beside Through Many Fires as a bestseller on Amazon’s war fiction list. The third book in the series, Braving the Storms, reached the number eight position on the Amazon War Fiction Kindle list in January 2016, about one month after the novel was released. The latest, a novella titled, The Long Way Home closes out the post-apocalyptic Strengthen What Remains series. Watch for the complete box set of the series to be released on August 26th. Visit Bobby Akart website HERE! Listen to this broadcast or download “KYLE PRATT: Best Selling Speculative Fiction Author” in player below! Archived shows Prepping For Tomorrow at bottom of THIS PAGE!